Chris Moore, M.D., F.A.C.S. is a board certified urologist who received his Bachelor of Science degree from Rhodes College in Memphis, TN. He then received his medical degree from Louisiana State University School of Medicine in New Orleans, graduating in the top 1% of his class. He completed an General Surgery internship and residency in Urology at the University of Florida. 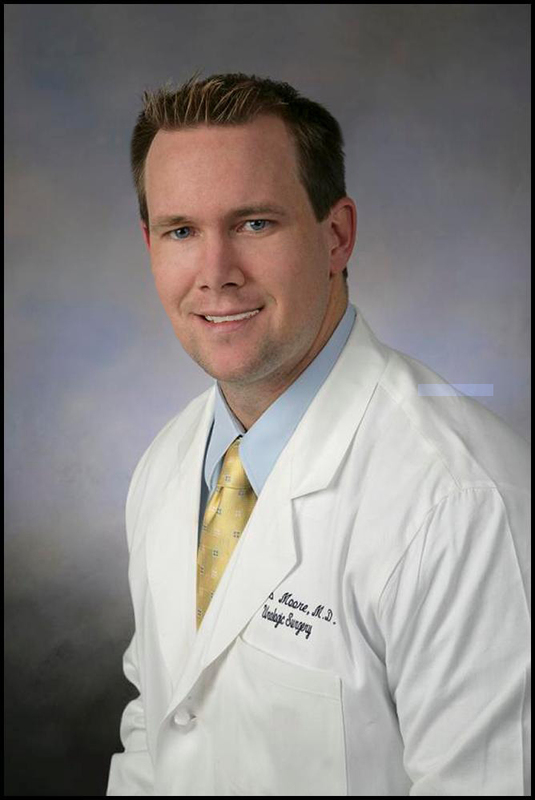 Dr. Moore joined Urology Associates of Northeast Florida in 2007. He is one of the area's leading providers of no-scalpel vasectomy, and has helped bring new technological advancements for minimally invasive treatments of BPH and kidney cancer. His clinical interests include no-scalpel vasectomy, erectile dysfunction, prostate cancer, and kidney cancer. Dr. Moore is a diplomate of the American Board of Urology and Fellow of the American College of Surgeons. He is also a member of the American Urological Association (AUA), the Southeastern Section of the AUA, the Sexual Medicine Society of North America, the International Society of Urologic Prosthetics, the Florida Medical Association, the Florida Urological Society and the Endourological Society. In his free time, Dr. Moore enjoys photography, travel, outdoor recreation, and spending time with his wife, Mehgan, and two children.